Which hour was most daunting for you? The first one! I had an impromptu night out with a friend I’d not seen in far too long, and it turned into quite the revel. Oops. Could you list a few high-interest books that you think could keep a Reader engaged for next year? I love a quick and fun middle reader/YA title to start things off, and also to give me a little boost toward the middle-end. A few I’ve been able to blaze through during RAT are From the Mixed-up Files of Mrs Basil E Frankweiler; The Little Prince; A Wrinkle in Time series; and anything by Jerry Spinelli. 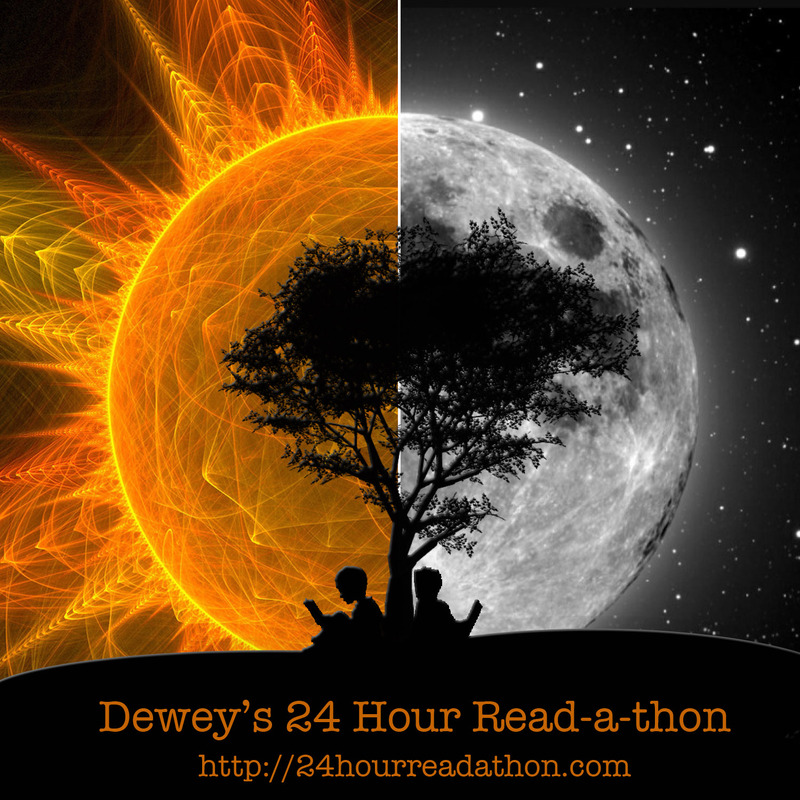 What do you think worked really well in this year’s Read-a-thon? The facebook group was a huge hit! I also was glad of an opportunity to connect with more folks on Litsy. How many books did you read? I finished one I’d already been reading, listened to two (complete but short) audiobooks, finished two comic collections, and got 150 pages into another book. What were the names of the books you read? The Dream Thieves, The Horse and His Boy, The Magician’s Nephew, Saga Vol 1, Saga Vol 2, and Magnus Chase and the Sword of Summer. Which book did you enjoy most? I ran out at 10:30pm to purchase Saga vols 2-5 when I’d gotten 3/4 of the way through vol 1, so I’d say that wins. How likely are you to participate in the Read-a-thon again? What role would you be likely to take next time? Oh I’ll participate for as long as it happens. I’ll be in school this fall so I’ll probably stick with just being a reader, but I do try to do a bit of unofficially cheering throughout the event. Thank you to our organizers, co-hosts, mini-challenge hosts, and cheerleaders, and I hope our new folks had a wonderful experience and will join us again in October. Happy reading, all!